Mayfield Heights Construction Cleaning Done Right & Done Fast! CleanGlo Services LLC understands the importance of completing construction projects on time. We have reputation of working with building contractors in an efficient and cost effective manner. We know that wasted time is lost money. That's why we'll make your post construction cleaning project in or near Mayfield Heights, Ohio our top priority. Give CleanGlo Services LLC a call today and we'll provide a quick, free estimate! Here at CleanGlo Services LLC, we take new construction cleaning very seriously, and know how important it is for your business to have a fresh start on opening day. With our hard hats, no Job is to big or to small. 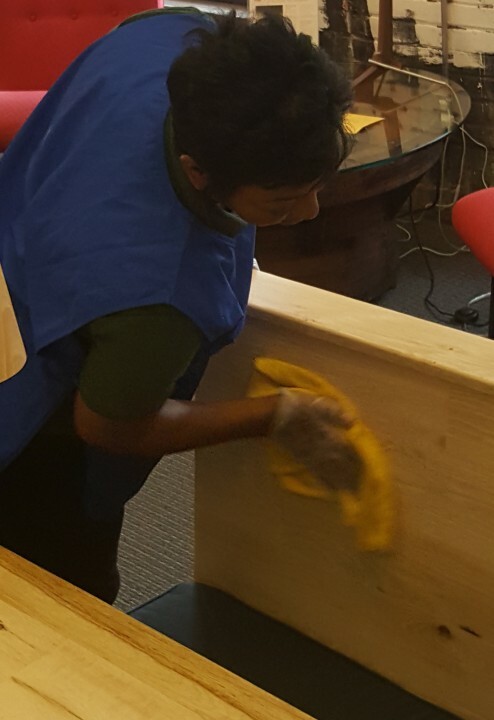 Our Mayfield Heights post construction cleaning crew is standing by, ready to tackle your construction cleaning project on time and on budget! High dust removal from ceiling pipes, duck work, vents, light fixtures, Etc. Stain removal, scrubbing, dusting, and vacuuming of all surfaces. Full Sanitizing of kitchens and bathrooms to make them ready for use. Scrub floor and tiles, Polish stainless steel, wipe walls and more. CleanGlo Services LLC has been providing top notch post construction cleaning in Mayfield Heights and surrounding towns since 1996. State of the art equipment and loyal and dedicated cleaning crews deployed to every post construction site in Mayfield Heights. Our expert construction cleaning crews will have your building sparkling in no time, and ready to rent or sell. You can count on CleanGlo Services LLC to get it right the first time.